The final game of our mini-training match, and a good example of the strengths of Wei Ming’s play. It is also quite an experience to be on the wrong side of his training preparation! After this series of games – witnessing first-hand his improvement game by game (because he prepared hard rather than because of these games!) I felt that his chances for a GM norm in Europe went from zero to a long shot. As we know, he failed to achieve this but it was nonetheless very close. Although I was in some ways a convenient training partner (in truth it was pretty inconvenient for both of us because of work and other schedules! ), for Wei Ming and others aiming for GM norms, it is important to play against far stronger opponents during training games. The problem is that this is very hard to arrange in Singapore because of the paucity of strong chess masters, especially GMs. So although Wei Ming was also able to arrange a few training games with IM Andrey Kvon (who made his final GM norm in Europe this year), he could not work on the practical aspects of training optimally. My thanks for Wei Ming’s notes, which he kindly provided for this game. You can also view the game here to play through the moves. As before, the Viewchess version was created by top local coach Junior Tay. The London system – dismissed in my “heyday” in the 1990s as being “mostly harmless”, it became popular again recently after it was employed by world champion Magnus Carlsen to beat several of the world’s best players. Among the top local players of the past, only FM Ong Chong Ghee played it with any regularity in the 1980s and 1990s. The opening’s strengths are that the strategic plans are clear, it is hard for Black to prepare any nasty surprises or to force a quick draw, and the opening can be deployed against virtually any Black setup. On the minus side, the opening is actually mostly harmless if Black is careful. One of the modern “tabiyas” (standard positions) for this opening. Black’s position is solid, and if the e5 break can be achieved, Black will be very comfortable indeed, and can start being more ambitious. White aims to prevent this, and one of the main strategies is to obtain a White knight vs. the Black light-square bishop situation, which generally results in an advantage for White. I used to play a double-fianchetto setup against the London – nothing wrong with it, but I guess one has to keep up with the times even in chess retirement… There is another interesting approach by Black, playing 6…. cxd4 instead of 6…. Bd6. After 7.exd4, Black plays 7…. 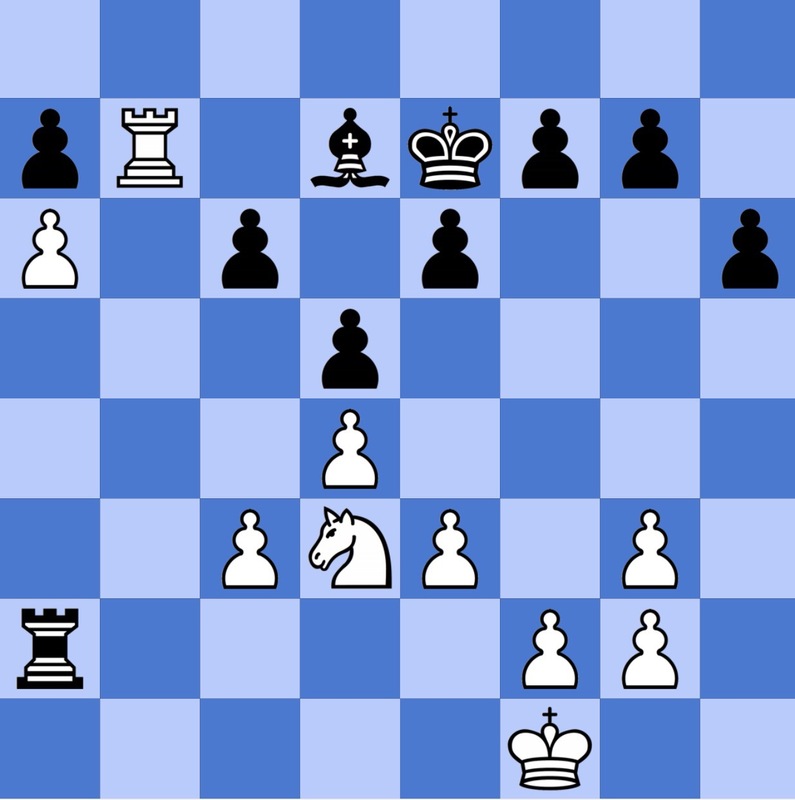 Nh5 and if White is not careful, the thrust by the f-pawn (f5-f4) can be inconvenient. One key game is Kamsky vs. Nakamura, Saint Louis 2017, which continued 8.Be3 (8.Bg5 f6 9.Be3 Bd6 10.g3 0-0 11.Bg2 f5 12.Ne5 f4 13.Qxh5 fxe3 14.fxe3 Nxe5 15.dxe5 Bc5 and Black is fine) 8….Bd6 9.Ne5 g6 10.g4 Ng7 11.h4 Nxe5 12.dxe5 Bxe5 13.Nf3 Bf6 14.h5 0-0 with an eventual draw. I have played this a few times on both sides against regular online sparring partner national master (NM) Lee Wang Sheng. The positions that arise are unconventional and difficult to play for my playing style, and Wang Sheng invariably equalises as Black without difficulty. Black is unable to achieve the e5 break after 7.Bd6 Qd6 8.Bb5 0-0 9.0-0 Bd7, but the position is comfortable for Black and it is difficult for White to make progress. The text move is most often played and gives Black the most chances of going wrong. A recurrent line of play in several online blitz games is 8.Bd3 Re8 9.Ne5 (9.dxc5 is another possibility, but is equal after 9…. Bxc5 10.0-0 e5 11.e4) 9…. Bxe5 10.dxe5 Nd7 11.f4? (first 11.Qb1 h6 12.f4 is necessary and equal) 11…. 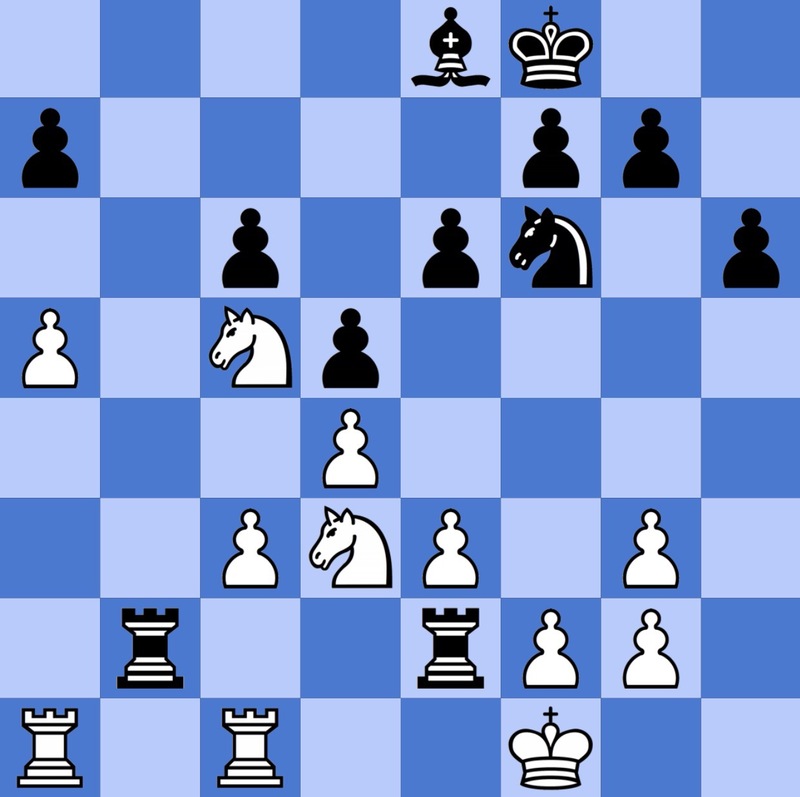 c4 12.Bc2 Qb6 and Black wins a pawn with a slightly preferable position, although White has some compensation. More common is 10….Ne7 to prevent the aforementioned White knight vs. the Black light-square bishop situation, but after 11.Qb3 c4 12.a5 Qc7 13.Qb4, White still has a slightly preferable position. 10….h6 transposes to the game. After the game, Wei Ming felt that 11.g4!? would have been interesting, and indeed it would have been difficult for Black to defend without prior preparation. I won’t show the lines as it is his preparation! Bad judgment. 12…. Bxc6 would have been equal, i.e. 13.Ne5 Rfe8 14.Nd3 cxd4 15.cxd4 Qc7. Black has a “bad” bishop and White has control of e5, but there is sufficient queenside play to compensate. I had wanted to create pressure down the semi-open b-file, but the bishop truly lacks scope as a consequence. The computer evaluation here is only +0.4, but White has by far the easier game to play. Better is 13.Ne5 Rab8 14.b3 Rfc8 and here Stockfish recommends 15.g4! 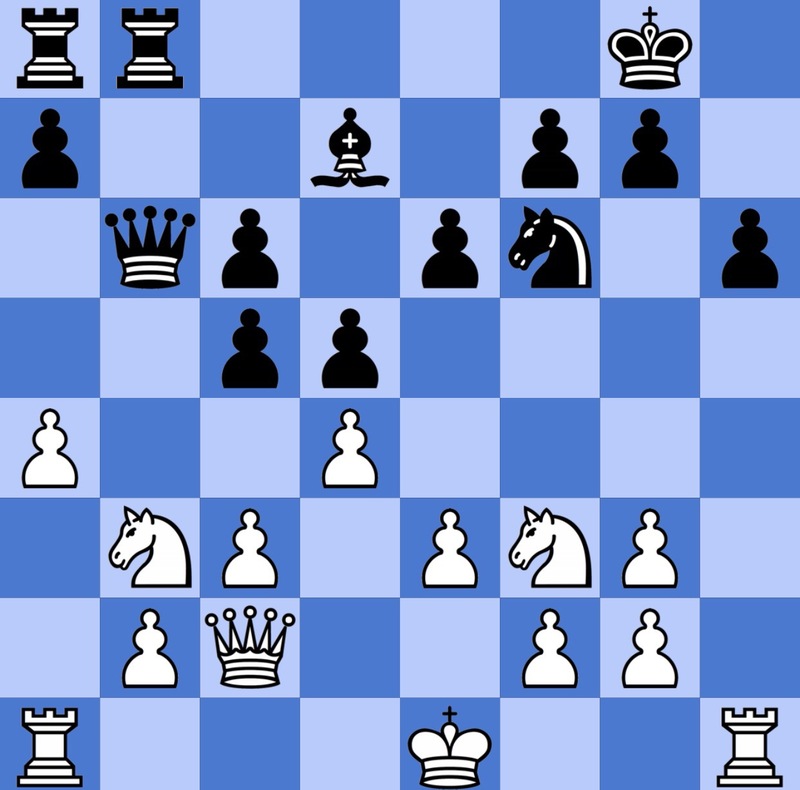 Be8 16.g5 hxg5 with the more comfortable game for White. Returning the favour. 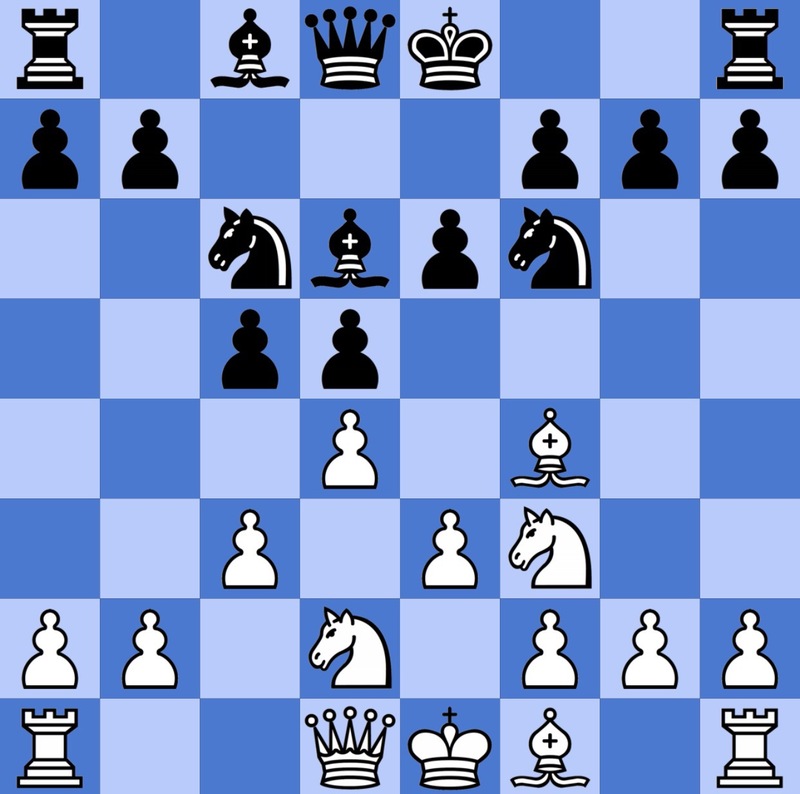 I had debated playing 13….cxd4 first, which would have been the stronger choice. After 14.cxd4 Rfb8 15.Nc5 (15.Ra3? Qb4 16.Qd2 Be8!? White is in an awkward queenside bind) 15…. 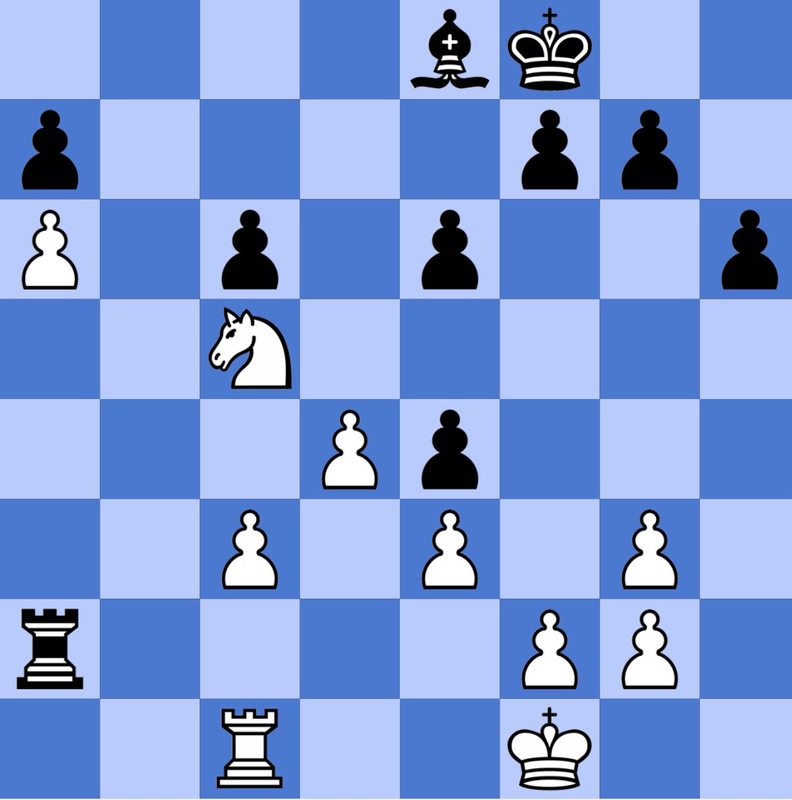 Qxb2 16.Qxb2 Rxb2 18.Ne5 Be8 White has dominant knights but a pawn is a pawn! Stockfish evaluation is -0.4 here. And we have the same position as in the analysis above, but with equal pawns (+0.5). 16…. Be8 17.0-0 Rab8 18.a5? Better is 18…. Rec2 19.Rfb1 Rb5! 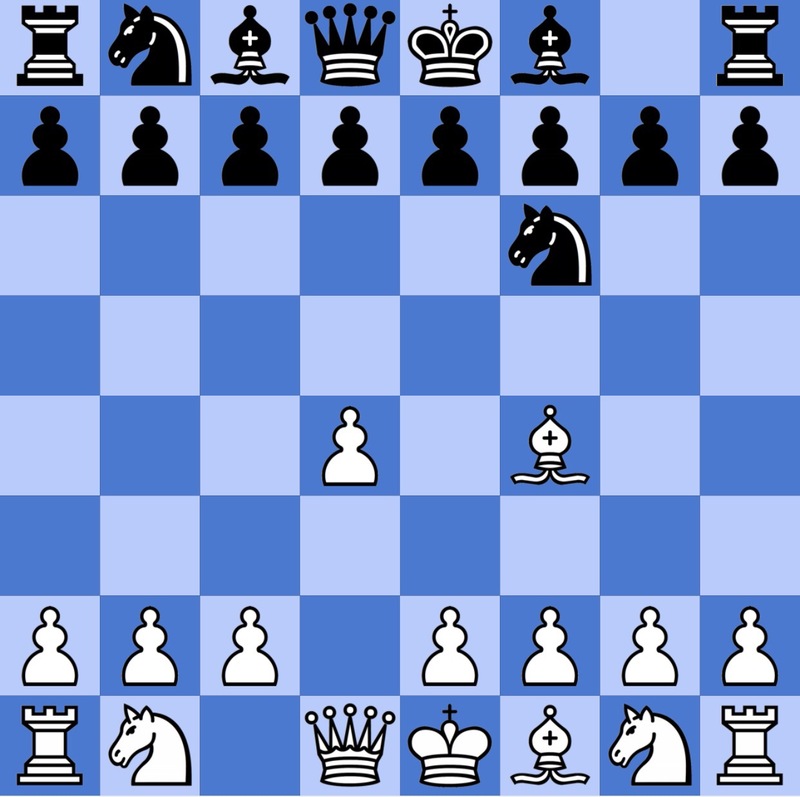 Where Black is able to block the b-file while threatening the c-pawn. 19.Rfc1! Re2 20.Kf1 Rbb2 21.Ned3 Ra2? Wei Ming: “the decisive mistake of this interesting rapid game.” I guess it was interesting for him but just suffering for me! But Black could amazingly still save this position after 21…. Rbd2 22.Re1 Ra2! 23.Rxa2 Rxa2 24.a6 Ra5! 25.Rb1 Rb5 blocking off the b-file again, with an equal position, as White is unable to attack the a7 pawn because of the “dumb” e8 bishop. A bad mistake, but I am not sure the game can be saved even after the best move 22…. 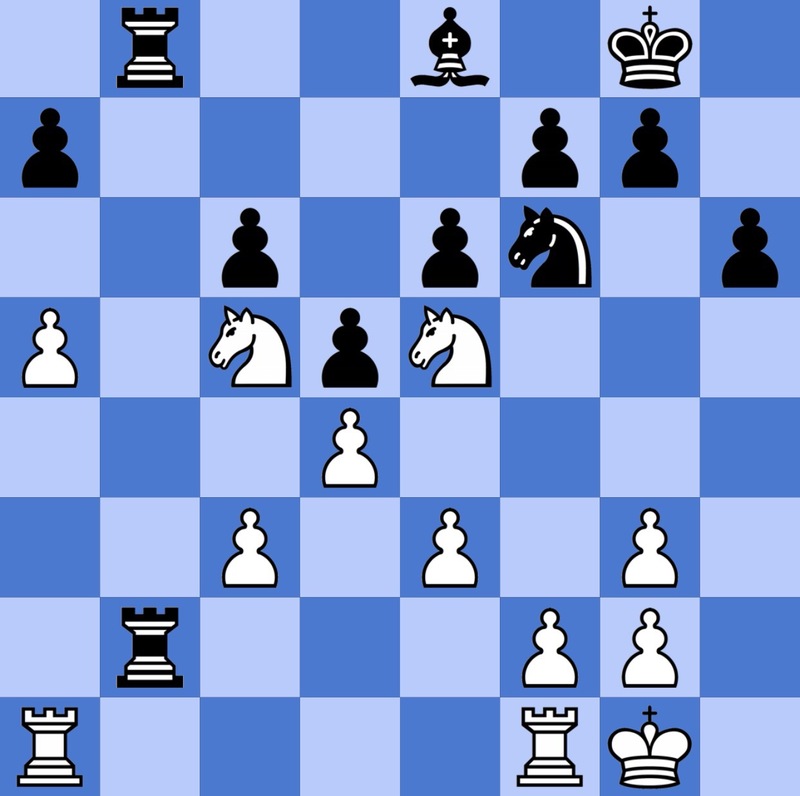 Ne4 23.Nxe4 dxe4 24.Rxa2 Rxa2 25.Nc5 Rb2 26.Nxe4 where Black is just suffering all the way. Position after 25.Nc5 in the analysis. And 1-0. I had seen enough.